A therapeutic massage that leaves you feeling deeply relaxed. It helps reduce stress by calming the nervous system. This is also a great pregnancy massage. Targets the deeper layers of muscles to help release chronic tension. This therapeutic massage is designed to break your cycle of muscle spasm and pain. Targets re-alignment through a gentle touch. Focus can be on re-setting muscle imbalances and/or postural correction. An invigorating massage suitable for those training for an event, in a sports team or working out to stay fit. Can help speed recovery, relieve muscle tension, ease joints, prevent injury and improve flexibility. An exceptional mind, body and soul treatment that uses high-quality essential oils in a gentle massage that targets your overall well-being. The oils have amazing healing benefits that relax and uplift. 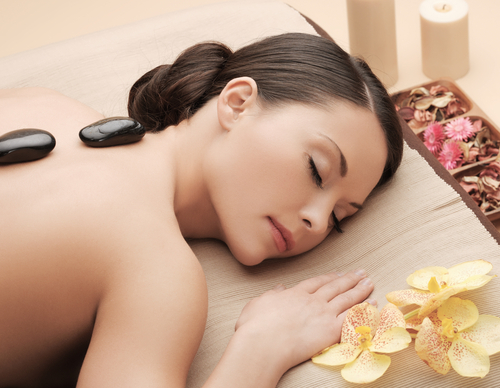 Involves the use of heated rocks to envelope the body in luxurious warmth while being massaged. The use of refreshingly cool rocks provides an interesting contrast, leaving you feeling restored and invigorated. 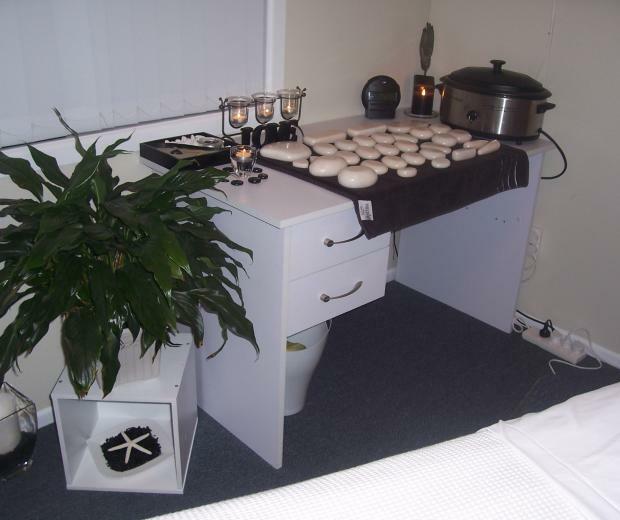 Lithos rock therapy is a totally blissful experience. A very light, gentle, non-invasive, manual technique which has a lulling effect on the nervous system. It increases the flow of lymph resulting in detoxification, reduces swelling and aids recovery from injury. Manual lymphatic drainage massage is very effective in helping with the control of lymphoedema (swelling of the tissues due to blockage or absence of lymph drainage channels). Compression bandaging techniques are able to be used during the treatment and advice and ordering of compression garments available. This is a nice way to relax and receive a relaxing massage at the same time as your partner or friend. Also an amazing treat for a bride-to-be and her bridesmaid or mum or for an anniversary. You will be in the same room side-by-side. Available on request (to arrange 2 therapists). Reiki is a hands on healing practice which utilises the presence of universal life force energy or Ki/chi, reducing stress and promoting relaxation and overall balance in mind, body and emotions by strengthening the energy within your own body to support the body’s self-healing ability. Chakra balancing creates balance in the body's energy systems which in turn achieve equilibrium throughout the mind and body. A special combination of gentle to firm massage using pressure point therapy, aiming to realign and relax the body. No oils or products will be used. Ideal during your lunch break. Performed over your own clothing (soft, comfortable is ideal).